FOR THE BEST DAMNED MARTIAL ARTS BUSINESS NEWSLETTER, PERIOD. Martial arts business coaching that works. For over a decade hundreds of martial art school owners have been quietly reaping the rewards of my martial arts business coaching group. Many started from nothing and are now teaching full-time in their own dojos. Maybe you're starting from nothing, too. Or, maybe you're stuck at 50, 75, or 100 students and you want to take your martial art school to the next level. Whether you're starting out from scratch, or you're a seasoned veteran who just needs a little coaching to grow your school, Martial Arts Business U can help. More than just another consulting website or "industry association," it's a tight-knit community of like-minded school owners who are focused on starting and running highly profitable 150 to 250 student dojos. Secrets of small dojo success. Looking for help on a specific topic? 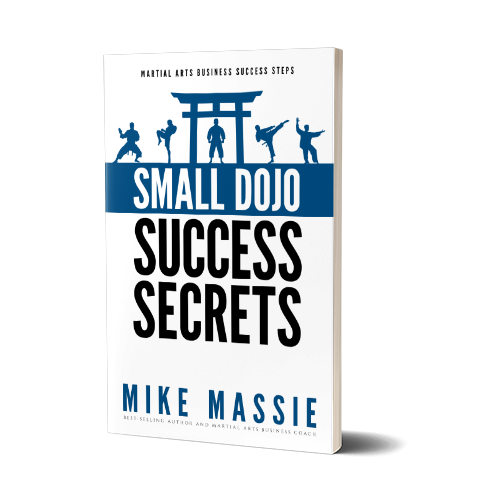 I've created several martial arts business resources kits that reveal how to market your dojo, how to enroll more students, and more. Click below to get more info. Struggling to get students? Barely keeping your head above water? My online coaching program for martial art school owners changes lives. Click to find out more and to hear from real members. If you're on a tight budget, check out my paperback books and ebooks on Amazon. I've purposely priced these books and guides under $20, so they're well within the budget of any instructor. Start your dojo the right way. Thousands of martial art school owners have followed my step-by-step approach to starting a martial art school from scratch. 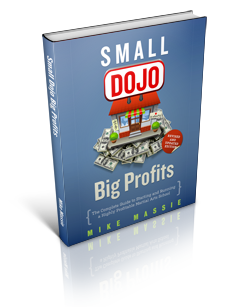 If you're thinking of launching a dojo, here's how you can avoid making costly mistakes... and set up your studio to turn a profit, fast. Click below to find out more. Over 4,000 martial artists on Facebook can't be wrong. Like us and stay up to date on the latest news and info from Martial Arts Business Daily. Ep 42: Is Negativity Ruining Your Dojo? Are You Treating Your Martial Arts Students Like Property?